Microsoft is creating an even bigger version of its new Surface Hub 2 hardware. 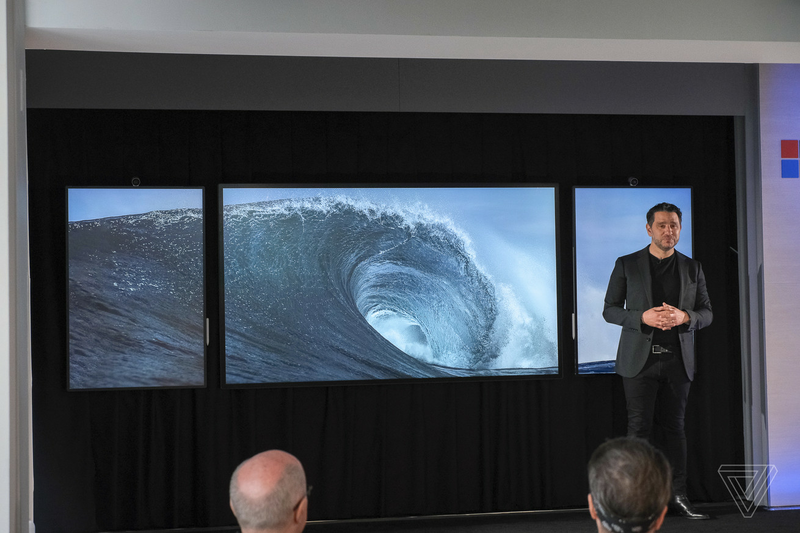 At a press event in New York City today, the software maker is revealing a bigger 85-inch Surface Hub 2 model. Unlike the smaller 50-inch version, this bigger model has a 16:9 display that’s more in line with the original Surface Hub. Microsoft is using a 3:2 aspect ratio on its new 50-inch Surface Hub 2S.